In this video, the very talented Emily from Stampin’ Up!’s home office, shows you very simply how to kiss your two stamps to get even more options out of your rubber! Who knew?? 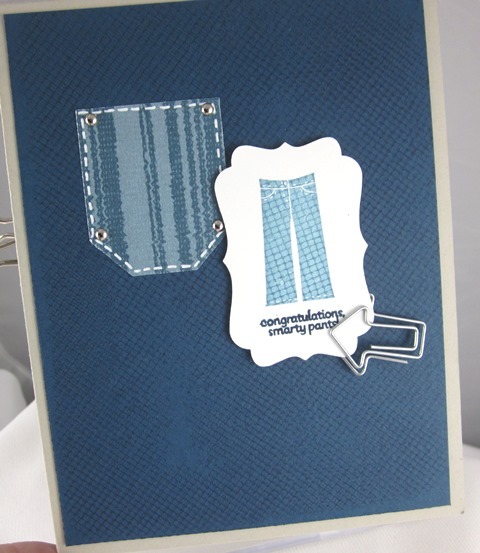 Because I needed to make a quick congratulations card (I sell my cards to friends and co-workers and this was a custom request), I tried it out, what do you think? What is your favorite technique? I will try to add to the techniques collection and give you samples, videos, ideas and more.